Down jackets are, more often than not, the most expensive and dearly cherished item in our outdoor wardrobe. When, therefore, our jacket starts to lose a little “loft” after a few months of frequent usage or an odd mishap with our trail lunch or post-trip tipple leaves an unsightly stain on the exterior, many of us are prone to despair. But fear not, fellow down-wearer! Down garments are just as easy to wash like any other garment in our backcountry armory. Laundering them just takes a little more care. 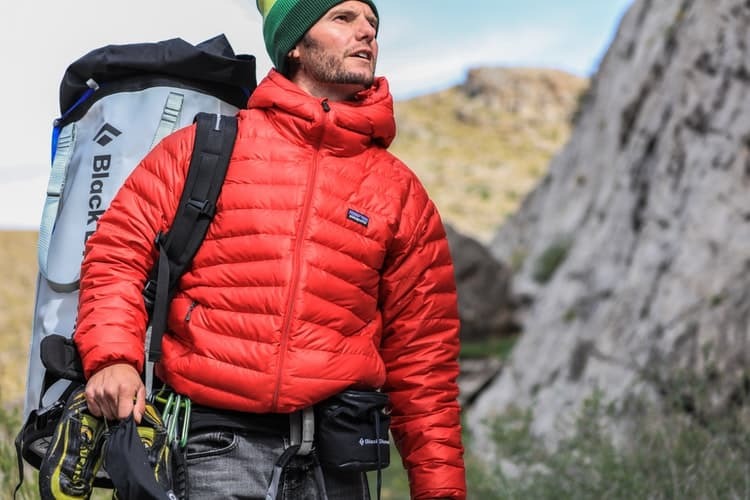 To help ensure your down jacket remains us lush and lofty as possible and performing as well as it should, in this article we’ll look at the three simple steps you should take when washing your jacket, in addition to a few handy tips that will help you keep your prized “puffy” in good shape year round. The term “down” is one many of us use without too much thought as to what it actually means. Down, in essence, refers to the small feathers of—in most cases—either a duck or a goose that is used as a fill-in insulating layers. These provide insulation in two ways: firstly, by providing a substantial, lofted buffer between our inner layers and the ambient air; secondly, by trapping the warm air created by our bodies between the feathers in a multitude of small air pockets. Knowing how down works is important to washing considerations because some down users are unaware that a lack of loft in their jacket or clumping of the feathers can seriously limit a down jacket’s performance. Over time, body oils, dirt, grime, and/or grease can all built upon both the jacket’s interior and exterior, thereby reducing the jacket’s capacity to insulate by reducing its loft and the number and size of air pockets between the feathers. Other than the purely aesthetic motives, there are a number of very good reasons that you should treat your down jacket to a regular clean. First up, grease and grime accrued with constant use can cause the down fill inside your jacket to lose a little of the “loft” (read: puffiness) that’s essential to its insulating properties. 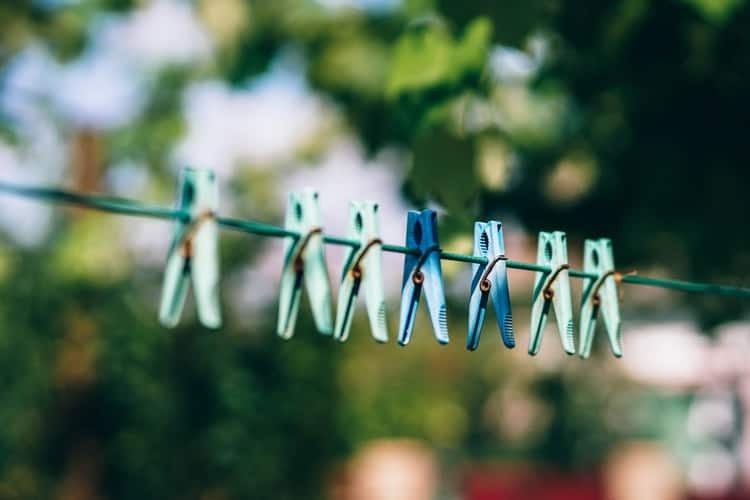 Most technical down detergent washes help to restore this loft and, therefore, ensure your jacket’s still fit to do the job you need it to do. Secondly, the exterior face fabric used on most down jackets is treated with a DWR (durable water repellent) finish. With time and use, this finish loses effectiveness, particularly if you’re wearing the jacket regularly and have treated it to a fair share of rainfall, dirt, grime, and oils from your body—all of which, for most outdoors-goers, are largely inevitable when using the jacket regularly. DWR coatings are essential to keeping your down in good shape and maintaining its insulating properties. One of the most commonly cited drawbacks of down garments is their inability to insulate when wet or damp and so, if this barrier against the elements isn’t rejuvenated regularly by washing, then our jacket’s performance in humid or damp conditions is sure to deteriorate. Again, using a technical downwash will help to restore the DWR finish to your jacket and leave it ready to fend off further confrontations with the elements and other aggressors (dirt, grease, body oils, etc.) until the next wash.
Well, it’s not quite so simple. Quite often, the down fill to our jacket and the DWR finish could do with a little pick-me-up without us knowing it. This is because the deterioration of both between washes can be invisible to the naked or untrained eye. When we wear our down jacket on a daily basis in winter months, it’s harder for us to notice any decline in its performance, particularly if we aren’t exposing it to the sustained periods of exposure in which the DWR finish and insulating capacity might really be put to the test. This being so, in winter months—or any other time when we are using the jacket frequently—we should wash and re-treat our jacket at least once per month. In shoulder seasons or warmer months when we are using the jacket less frequently or only throw it in our pack in case of an emergency, then we can ease off on our cleaning routine and limit our laundering to once every three months. Down is a specialized product and to get the most out of our down garments we must, therefore, use a specialized detergent. The feathers which provide the insulation in your down jacket are imbued with natural oils that help to keep the feathers supple, fluffy, and capable of providing both loft and insulation. 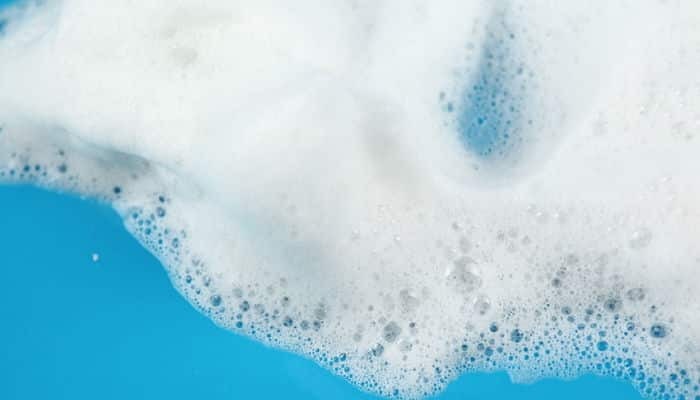 Standard detergents tend to be more aggressive than down-specific detergents and can erode these natural oils, thus making the feathers dry, brittle, and altogether less lofty. Although a number of technical down detergents are available in stores and online, you can’t go wrong with Nikwax Down Wash Direct. This product cleans, waterproofs, adds breathability, helps to maintain the loft and insulation of any down product, is safe to use in a machine wash, and works with both regular down and water-resistant down. Between outings, the way you store your down jacket can make a large difference to its performance when you wear it. Ideally, your down jacket should be stored on a hanger instead of in the stuff sack because the feathers in your jacket can lose their ability to regain loft—and, therefore, to trap the air essential to their insulating capacity—if squished down between uses. If possible, your down jacket should also be stored in a location with minimal humidity. Down products are notoriously poor performers in wet or damp conditions owing to the way water causes the feathers to stick together or flatten and thereby reduce the loft and air pockets crucial to their insulating capacity and storing your jacket in an even slightly damp location will result in a similar deterioration in performance over time. Most down jackets lack the ruggedness of hardshell rain jackets or softshell jackets. As such, finding a small rip or tear in the exterior is not an infrequent occurrence for anyone using their jacket regularly and in a non-urban environment – rocks, branches, sharp items in our pack, and car keys are just a few of the assailants that might deal our down darling a nasty blow. Additionally, the feathers that provide the insulation in down jackets often have a tendency to poke through the shell fabric. This isn’t a problem in and of itself, but—like those tears or rips—can easily become one if not taken care of quickly. In the case of a protruding feather, the best thing to do is to try to tug the feather back inside the jacket through the fabric. Removing the feather the other way—out of the jacket—will not only rob the jacket of a small part of its insulation but also create a small hole in the jacket’s exterior that provides an “entry point” for any moisture on the surface material. In the case of rips or tears, your best bet is to get your hands on reliable repair glue or tape-like Seam Grip or TenaciousTape, neither of which will do much for your jacket’s appearance but will ensure the shell material is not compromised by the tear, rip, or hole. This repair method is far more likely to end well than any attempt to sew up the tear/rip with a needle and thread, we assure you! Although some manufacturers advise taking your down garments to a specialist down a cleaner, for most of us that just isn’t a convenient option and, in truth, may be overkill unless we happen to believe in reincarnation and hope to use our down jacket over several lifetimes! For those of us who’d be happy to have our down jacket in good nick for a single lifetime, home washing is more than good enough. Remove any residual detergent from your washing machine and read the care instructions on your jacket and the dosage instructions on your chosen detergent. If possible, use a front-loading washing machine as the spinning mechanisms (agitators) on top-loading machines have been reported to cause damage to down garments. Select a cold wash and add the recommended amount of specialized down cleaner. Rinse a second time after the original cycle is complete. Throw your jacket in the dryer on the lowest heat available (or even a no-heat setting). To help restore the loft, some authorities recommend throwing in a couple of tennis balls along with the jacket as this help to break up the clumps of down that will have formed inside the jacket’s baffles after the wash. In all likelihood, one cycle will not dry your jacket thoroughly. If this is the case, either put it through another cycle on low heat or hang it to dry on a line or over a hanger at room temperature. Pop your freshly restored, plump, fluffy, clean, good-to-go down jacket on for a trial and marvel at how it feels good as new! Never attempt to iron or even steam press your down jacket as this will melt the fabric. It should really go without saying, but it’s not unheard of…!